The front and rear emblems for your C4 91-96 Corvette is no longer offered by GM directly, but they have approved an OEM exact reproduction of this emblem through their GM Restoration Parts Certification Program. 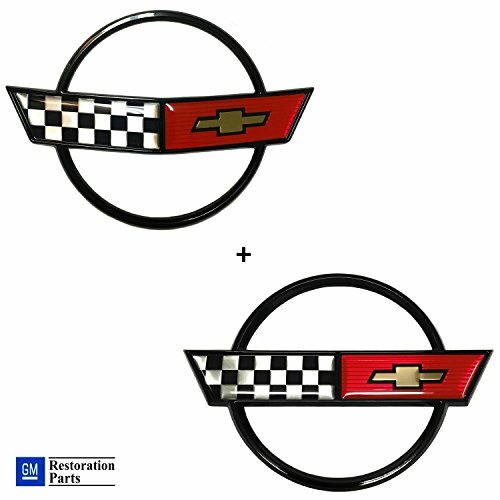 These brand new C4 91-96 emblems are Genuine GM Restoration Parts and is an exact match to the GM OEM emblems that was installed when your Corvette was new. The emblems has the correct mount pins on the back along with the proper bonding tape and made of the same material as OEM. Note the mount pins on the back side can be cut off and the emblem used in the cockpit or under the hood if you wish. 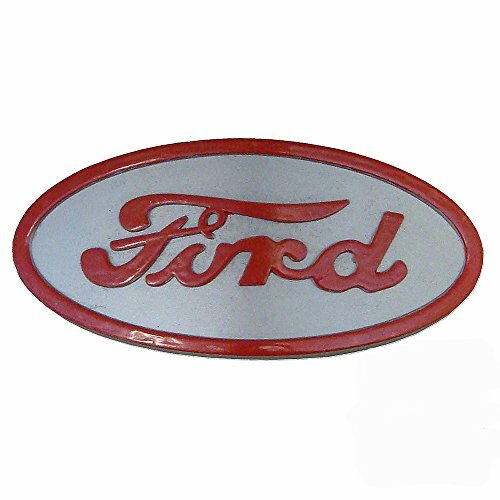 We also offer the 91-96 nose emblem and the rear gas lid emblem by themselves in our other listings. This listing is for both the front nose and rear gas lid emblems for the 91-96 Corvette. The front and rear emblems for your C4 84-90 Corvette is no longer offered by GM directly, but they have approved an OEM exact reproduction of this emblem through their GM Restoration Parts Certification Program. Made of a Die-Cast metal construction. 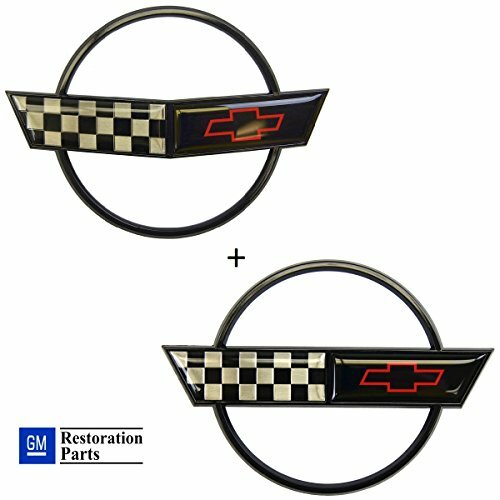 These brand new C4 84-90 emblems are Genuine GM Restoration Parts and is an exact match to the GM OEM emblems that was installed when your Corvette was new. The emblems has the correct mount pins on the back along with the proper bonding tape and made of the same material as OEM. Note the mount pins on the back side can be cut off and the emblem used in the cockpit or under the hood if you wish. We also offer the 84-90 nose emblem and the rear gas lid emblem by themselves in our other listings. This listing is for both the front nose and rear gas lid emblems for the 84-90 Corvette. 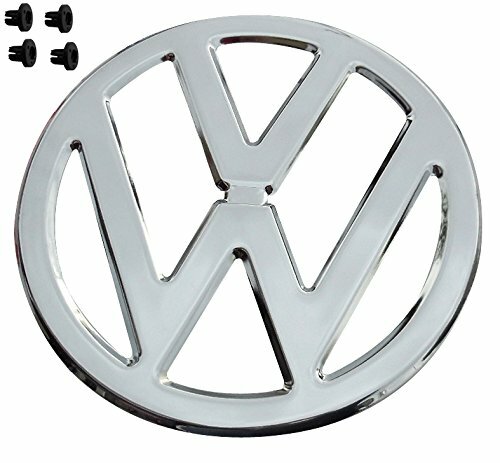 High quality reproduction of the original VW nose emblem used on the 1950-67 VW Type 2 Bus. Chrome plating over steel construction. Comes complete with clips to take the hassle out of the install. The front nose bumper emblem for your C4 91-96 Corvette is no longer offered by GM directly, but they have approved an OEM exact reproduction of this emblem through their GM Restoration Parts Certification Program. 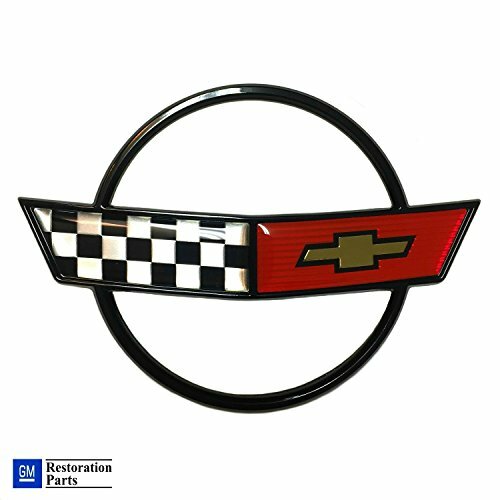 This brand new C4 91-96 nose emblem is a Genuine GM Restoration Part and is an exact match to the GM OEM emblem that was installed when your Corvette was new. The emblem has the correct mount pins on the back along with the proper bonding tape and made of the same material as OEM. Note the mount pins on the back side can be cut off and the emblem used in the cockpit or under the hood if you wish. We also offer the 91-96 gas lid emblem and a combo for both in our other listings. This listing is for just the front nose emblem for the 91-96 Corvette. The front nose bumper emblem for your C4 84-90 Corvette is no longer offered by GM directly, but they have approved an OEM exact reproduction of this emblem through their GM Restoration Parts Certification Program. Made of a Die-Cast metal construction. 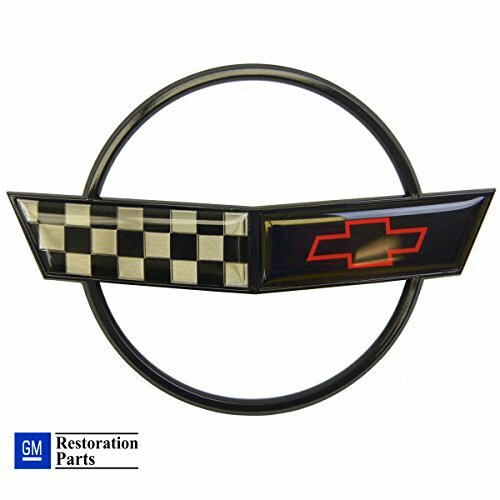 This brand new C4 84-90 nose emblem is a Genuine GM Restoration Part and is an exact match to the GM OEM emblem that was installed when your Corvette was new. The emblem has the correct mount pins on the back along with the proper bonding tape and made of the same material as OEM. Note the mount pins on the back side can be cut off and the emblem used in the cockpit or under the hood if you wish. We also offer the 84-90 gas lid emblem and a combo for both in our other listings. This listing is for just the front nose emblem for the 84-90 Corvette. Tesla Model X Nose Cone Front Emblem "T" Vinyl Decal Sticker in Matte Red This decal is for the original Model S nose cone design, not the new 2016 redesigned nose cone. The Avantelle decal came with automotive adhesive and is non-permanent. 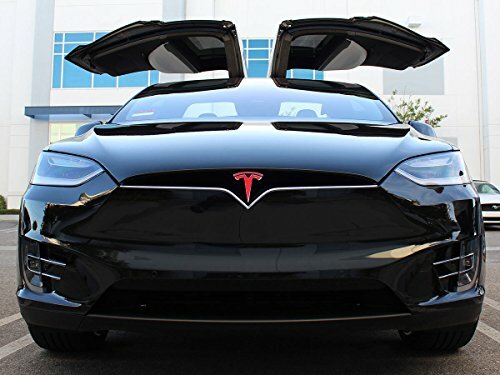 The decal specially designed to enhance the stylish look for your Tesla Model S. It's acrylic based adhesive that will not eat or damage the surface structure of a vehicle. There's no solvent based smell to this adhesive. The adhesive might seems weak at first; just give it time to cure. Or, you could use hairdryer to heat the decal after applying it. It's easy to apply/remove and no tools are required. These are a reproduction of the original front nose emblem for a 1980 Chevrolet Corvette. If you have any questions, the knowledgeable parts specialists at Keen Parts will be happy to help you with your project. Shopping Results for "Front Nose Emblem"